Is your wardrobe ready for fall? Get in the know about the styles and colors you should be rocking this fall! 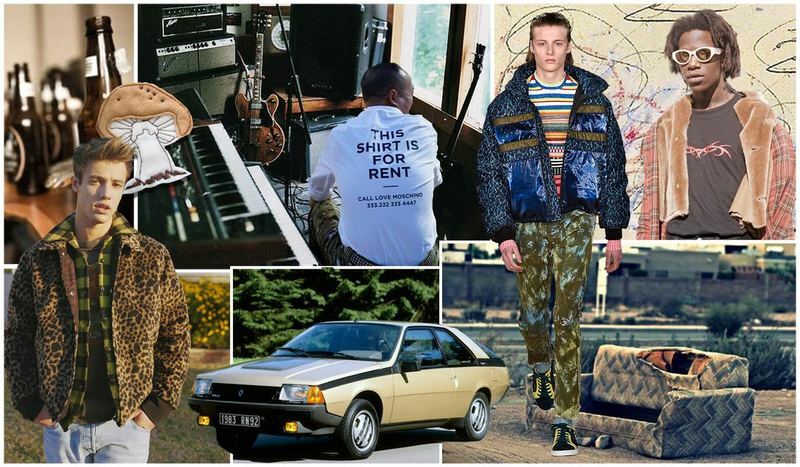 Keep reading for our top alternative trend stories for youth, women, and men curated by leading fashion forecaster, Fashion Snoops. 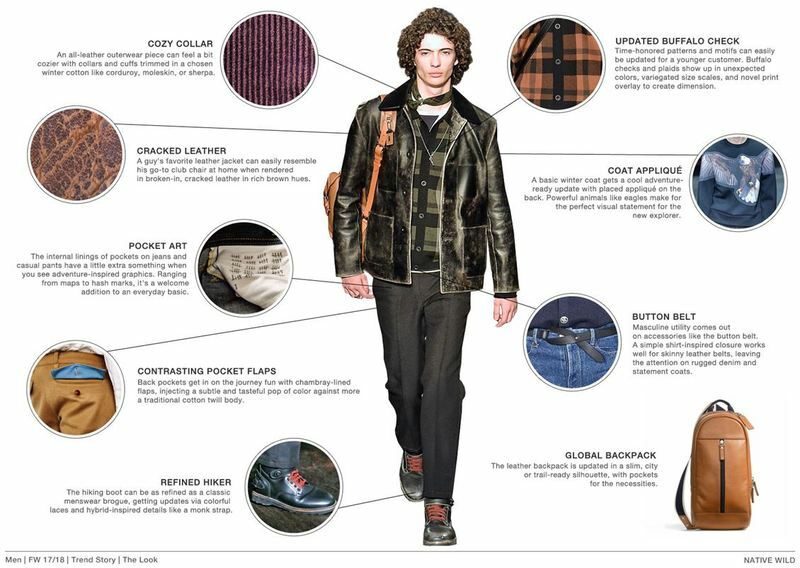 The highlighted styles and materials in the "Paradise Garage" trend story include plaid, denim, and leather. This trend story hones in on a vintage, eclectic, and grunge aesthetic. When you're rocking these styles, don't be afraid to mix prints and patterns. 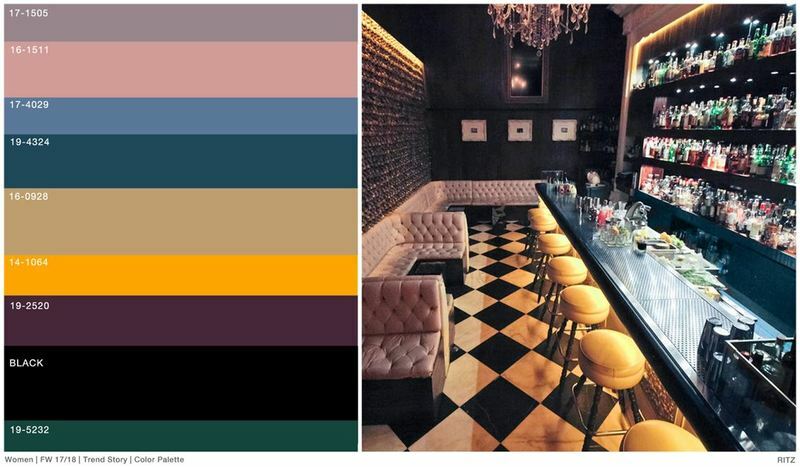 The color palette of this trend story feels very 70's to me. Try mixing warm tones like rustic yellows and browns with neutral tones of pink and maroon. 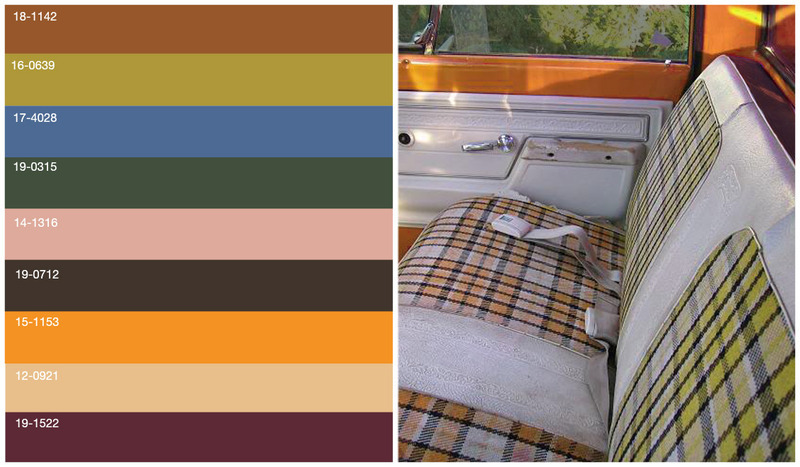 A great way to incorporate all of these colors in one outfit is to look for a variety of hues in a plaid pattern. For a great fall outfit, sport a flannel button down with your favorite pair of distressed jeans. Punk fashion has influenced the denim hack trend for decades, initially fueled in the 1960's and 70's by London designers like Mary Quant and Vivienne Westwood. Searching to put a spin on traditional denim, punk fashion followers have been distressing and altering jeans for quite some time to give outfits an innovative look. Flash forward to 2017, the forecasted "key item" or "must have" for this fall/ winter is hacked denim. We're talking patchwork, two- toned pant legs, raw edges, geometric cutouts, standout designs, and the pocket hack. Mix it up from your go- to pair of skinny jeans and go for something a bit more edgy this fall. For a simple and easy fall outfit, slip on a pair of hacked denim jeans with a vintage tee and platform shoes. 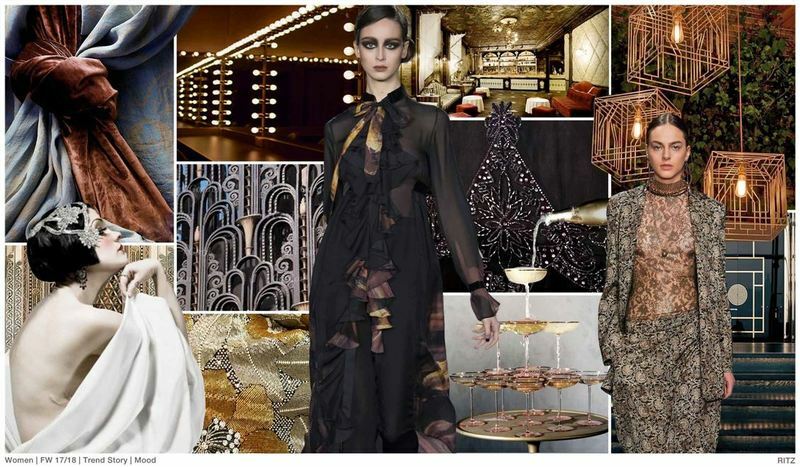 The "Ritz" trend story has a very different focus, centered around florals, fringe, and embellishments. This dark, romantic themed fashion story includes deep hues of purple mixed with a softer, more feminine shades of pink. Metallic shades are also a big part of this theme- make this trend your own by wearing bronze and rose gold shades rather than traditional silver and gold. 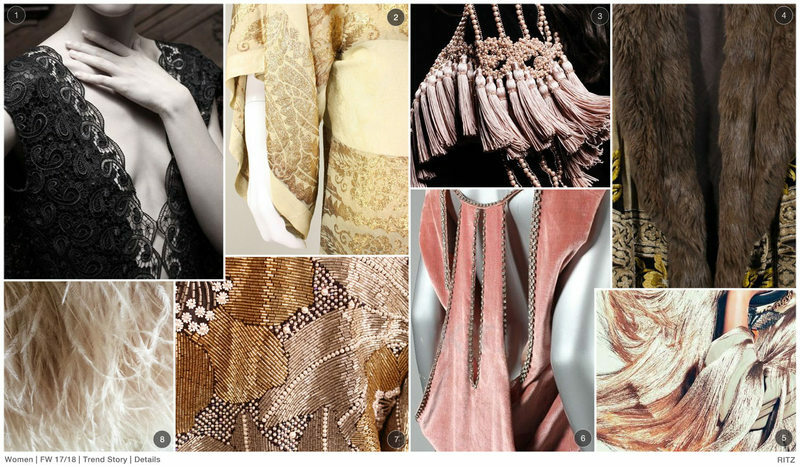 Design details like fringe, tassels, feathers, beading, lace, fur, and crushed velvet are the center of this trend. This story has a concept of "more is more", so don't hesitate to go overboard with accessories and fun embellishments on clothing. The highlighted colors in this trend concentrate on deep, dark colors mixed with light, romantic shades of pinks, blues, and purples. If you're feeling daring, throw in a pop of yellow to your outfit with a small crossbody bag or make more of a statement with a mustard leather jacket. This "gloomy garden" type theme focuses on intricate floral patterns, mainly reflecting antique wallpaper and art prints. This trend story supports a rustic, yet elegant style with collared shirts, carefully beaded dresses, large flower embroidery, and delicate fabrics. 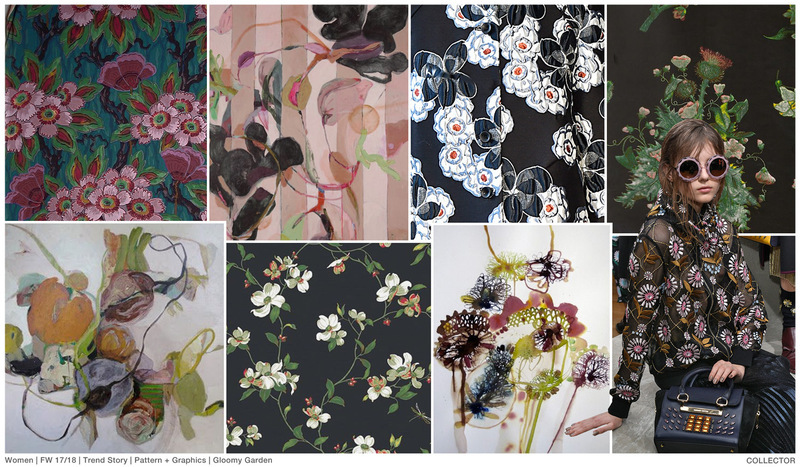 Take a different approach to floral patterns by opting to go for watercolor- inspired prints. You can rock a more unique look by pairing a feminine- focused outfit with a bold accessory, like statement sunglasses or a structured tote bag. 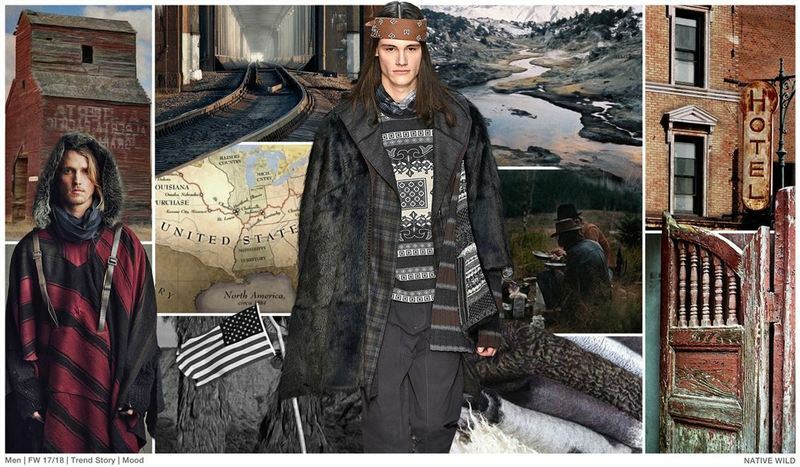 Last but not least, the "Native Wild" trend story incorporates cracked leather, buffalo checks, and cozy fabrics that we all want to live in during the fall and winter. Layers are a key trend this fall and winter, which makes it even easier to coordinate new outfits with clothes you already have. Try putting together pieces that you never have before, like buttoning up a chunky cardigan underneath an oversized jacket. Add fun accessories like a silk neck scarf, layered rings, and stand- out shoes. 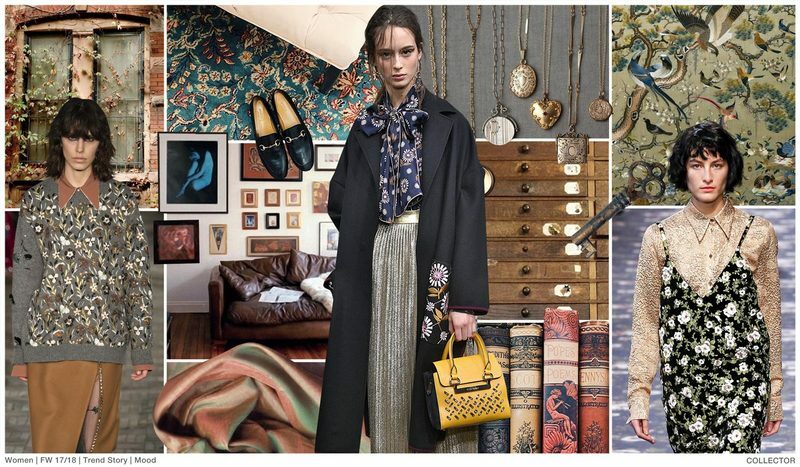 Which trend story is your favorite? Let us know in the comments below!